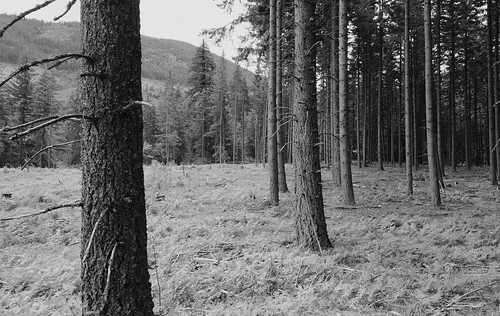 Untitled [Managed Forest – near Lost Lake, Oregon], by Matt Niebuhr. Sometimes it’s hard to imagine what the landscape might have been like before it was considered as a manageable resource. What it is now is no less real or authentic however. What you see is what you see – traces of the many forces at play in shaping the environment.